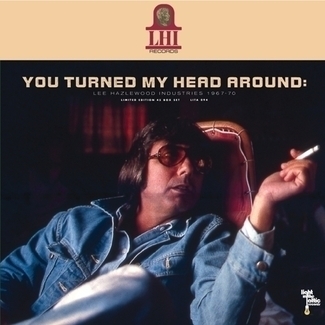 Light In The Attic’s Lee Hazlewood Archive Series continues with an expanded reissue of Lee Hazlewood’s debut album. 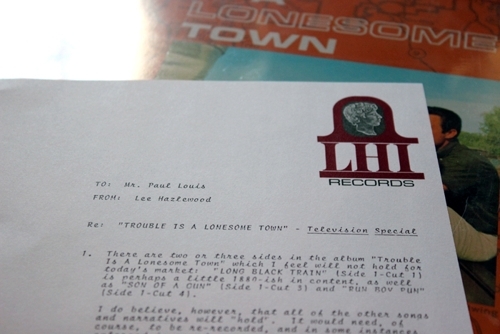 Re-mastered from the original tapes, this is the first time Trouble Is a Lonesome Town has been available in its original mono mix since the 1960s. Presented as a double LP with 15 bonus tracks and an eight page booklet, this is an essential purchase for Hazlewood fans or anyone curious about about the man before the mustache. Originally released in 1963, Trouble… finds the bohemian cowboy sketching out a vivid picture of a backwater place named Trouble, where trouble with a small ‘t’ is never far away. 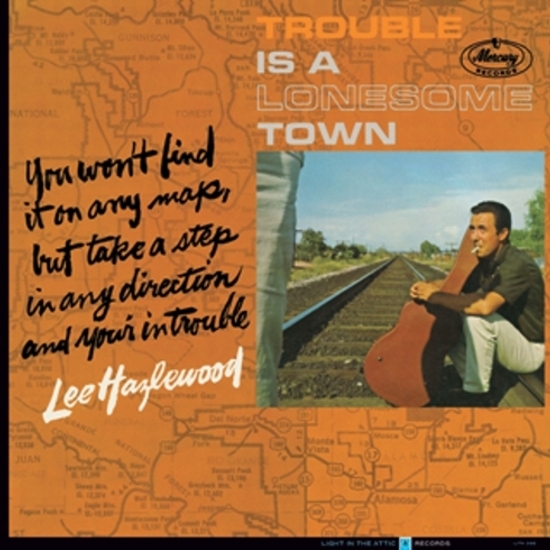 “Trouble is little and it’s lonesome,” he says, on the title track, “you won’t find it on any map, but you can take three steps in any direction and you’re there.” Lee says plenty on the album. 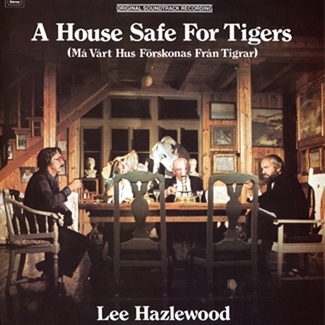 The first voice you hear is Hazlewood’s spoken-word narration. It’s a format the singer-songwriter would revisit frequently, introducing his stirring songs with a touch fireside storytelling in the rich, Texan drawl he’d tried hard to lose during years he was struggling to make it as an aspiring radio DJ. Each mini, pre-song poem seems to impart unexpected wisdom. Indeed, if the record sounds remarkably wise and mature for a debut album, Hazlewood was, of course, no spring chicken on making this debut. 34 years old at the time of the album’s release, he was already a seasoned producer, writer and publisher with dozens of hits under his belt and a few singles under his own name and more under the pseudonym ‘Mark Robinson’ – all of which are included here in this reissue. 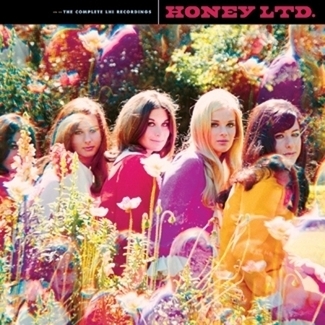 A pet producer of Duane Eddy’s, Hazlewood could turn his hand to any musical style (bonus ‘Mark Robinson’ track ‘Pretty Jane’ is unreconstructed rock ‘n’ roll), but with Trouble…, it felt like the singer had touched on something that was uniquely him. In 2000, however, the late singer revealed that he hadn’t planned on making what’s best described as a musical storybook. “That was a demo. I didn’t know it was a concept album. I wrote a complete story of a make-believe town,” he said. 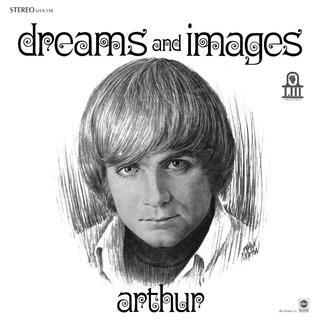 The town nearly lived outside of the album too – in August 1968 there was serious talk of a television show based on the album. 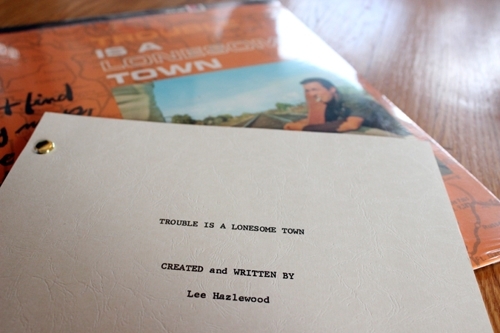 Lee wrote a script for a proposed weekly half- hour series called, Trouble Is a Lonesome that, sadly, never made it to air. The cover sees Lee by the railroad tracks in Avondale, west of Phoenix. Smoking a cigarette and holding a guitar case, Hazlewood’s myth was laid out here. The newly minted performer’s long journey had taken him from Texas to Los Angeles via service in the armed forces and radio stations in small-town America. By 1963 he’d made it as far as the Hollywood Hills, but in many ways, his story was only just beginning. 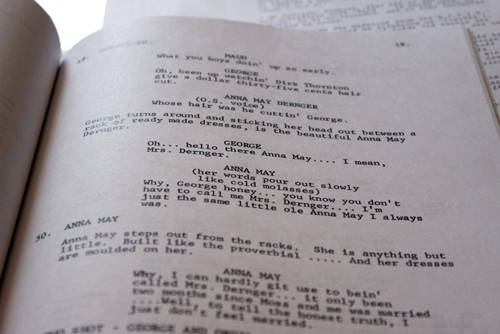 Light In The Attic will be revealing the rest of it throughout 2013 and 2014.